Sad to say my dehydrated beet salvage did not work. To get you up to speed, I bought an organic beet two days ago. 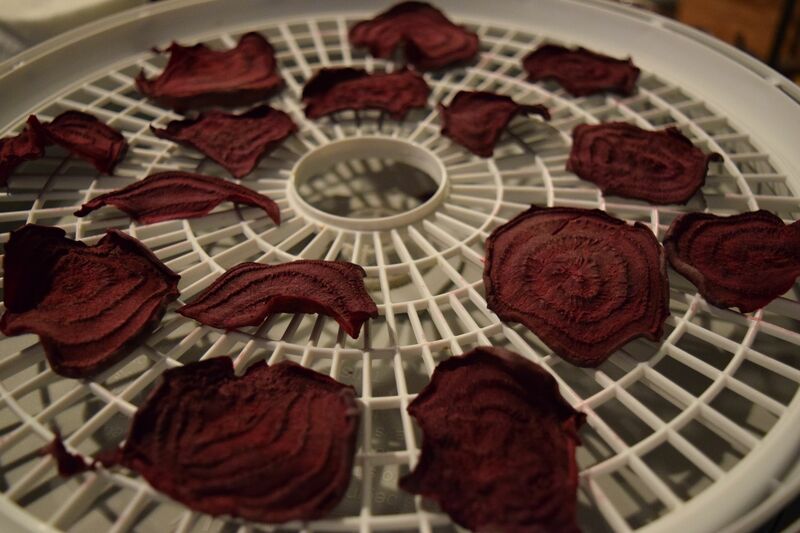 I tried to dehydrate it to make crispy beet chips. They were teeth-breakingly tough. 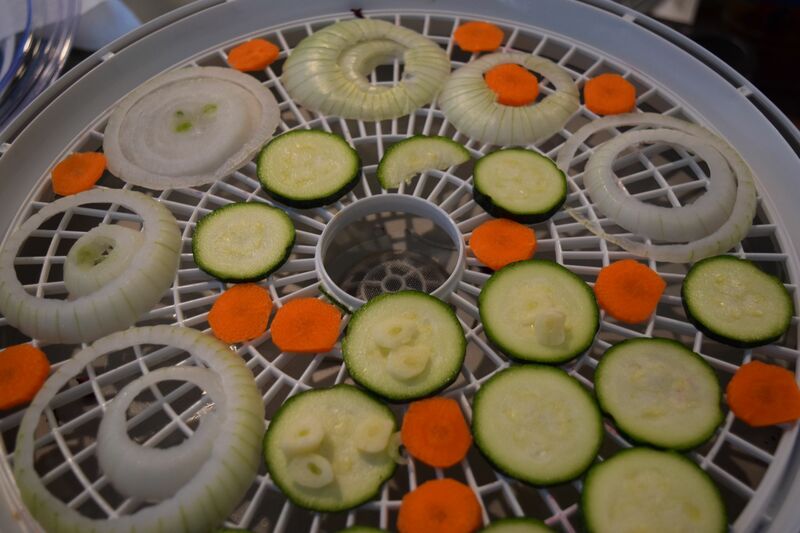 Then, I read a recipe where they dehydrated vegetables and chopped them up to make a crunch salad topping. So I put all of the dried vegetables together. And I chopped them in a blender. 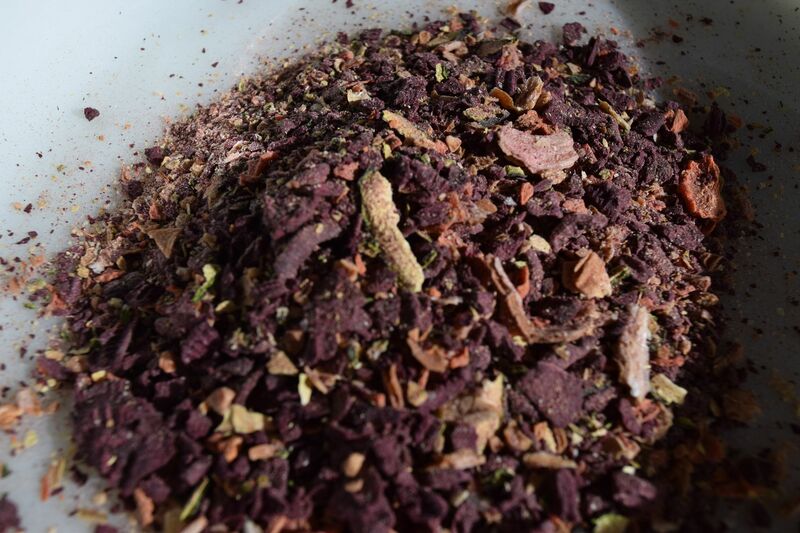 It looks like potpourri but it’s not. 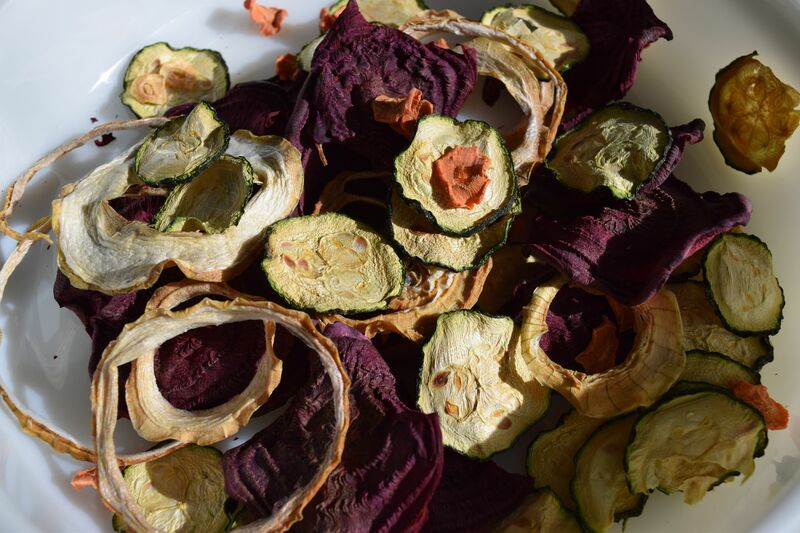 Although the ingredients of this vegetable potpourri are completely edible they are actually completely inedible. Again, you would break a tooth if you chomped down on this. So I whirled it around some more thinking I would make a powdered seasoning to spark up a salad. The results? It did not taste good at all and the texture turned to sticky mush when you ate it. I will call this Beet Fail. 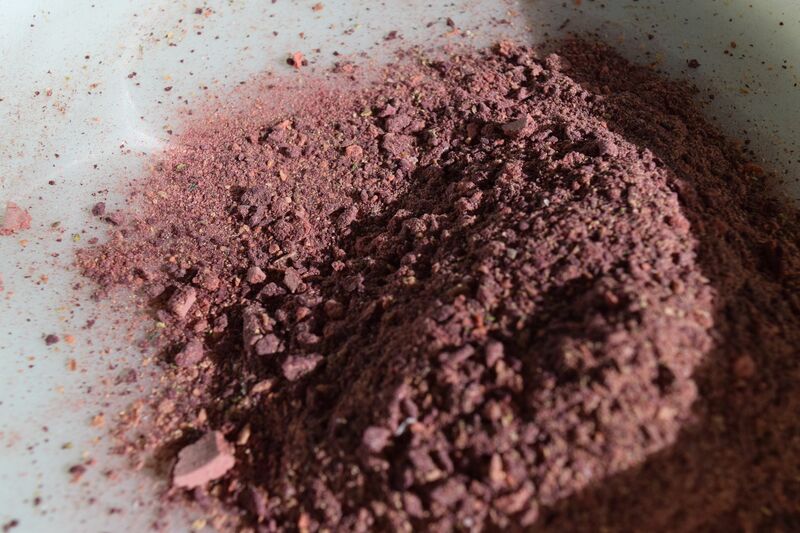 But wait…what if I put the powder in hot water to be used as a dehydrated soup mix???? That could work. Realistically though I would imagine it would taste best if starving in an apocalypse. You can see I don’t hold out much hope for my creation. Tune in at 5:00 tonight for my zippered pouch giveaway. This is very exciting to me. I have never had a giveaway on the blog and it is fun! Definitely something to do more of in the future. When will the next give away take place? Very soon! I’m working on it now.